Experts point to a trio of modifiable, lifestyle factors as major contributors to chronic diseases, and consequently, to the staggering financial toll on businesses. Of all the lifestyle factors, excess stress exacts the biggest toll. Employee buy-in is tied to management buy-in. When employees see the CEO on the treadmill next to them or attending a weight management seminar, for instance, they may be more likely to recognize the value and significance of the program. Include employees in the planning. Remind and update employees regularly about all the components and benefits of the program. Make it easy to participate in the program and communicate how simple it is to get started. Emphasize the value of the program. Promote the fact that a healthier lifestyle results in fewer medical costs and improves quality of life. Include spouses and family members in communications efforts. Encourage participation at all levels of the company. Design the program to fit your unique needs. Communicate the program through multiple methods. Improve access to wellness resources. 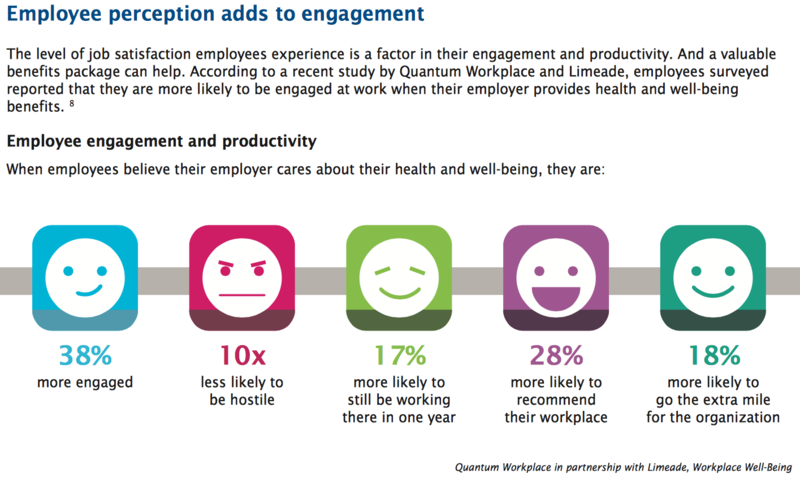 From reducing the cost of healthcare, life and disability insurance to decreasing the number of days employees are absent, wellness programs have been exceeding expectations. Your ROI will depend on which wellness components you include in your plan. Some programs will involve little or no cost, such as initiating a walking program. More expensive fitness programs, for instance, may include a company-paid membership to a gym. At the far end of the spectrum is providing onsite facilities for stress management-related programs or full-fledged fitness regimens. In the middle of the rankings fell designs that encourage movement. This is understandable as the idea that movement—any movement—is beneficial to health and mental acuity is just now being supported by data. A 2014 study by Stanford University researchers Marily Oppezzo and Daniel Schwartz (“Give Your Ideas Some Legs: The Positive Effect of Walking on Creative Thinking”) found that when people were enabled and encouraged to walk, even within the office, their levels of creativity rose. Studies have shown that walking also helps improve attention and short-term recall. 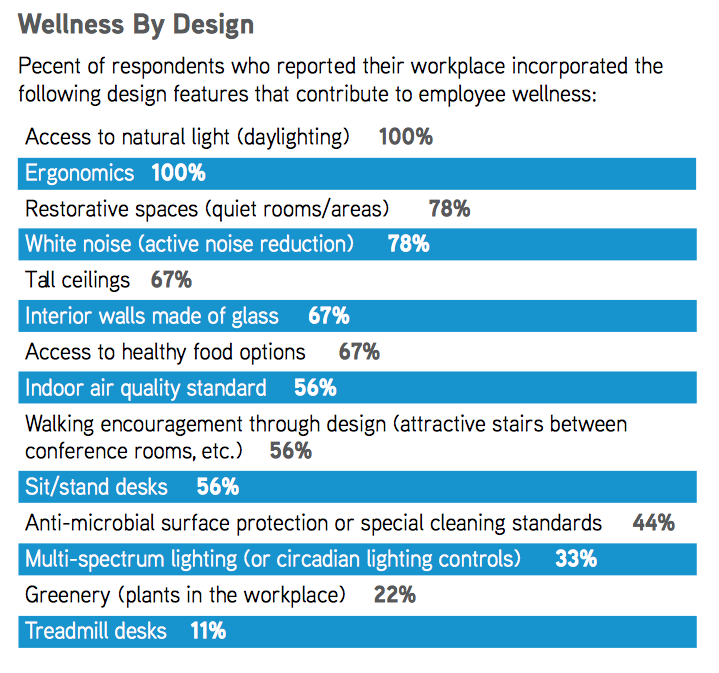 Building an effective wellness strategy. Mary Margaret Harris, Ph.D. Levi Strauss & Co.